Wynter Pitts is the founder of FOR GIRLS LIKE YOU Magazine and the author of For Girls Like You, You’re God’s Girl! 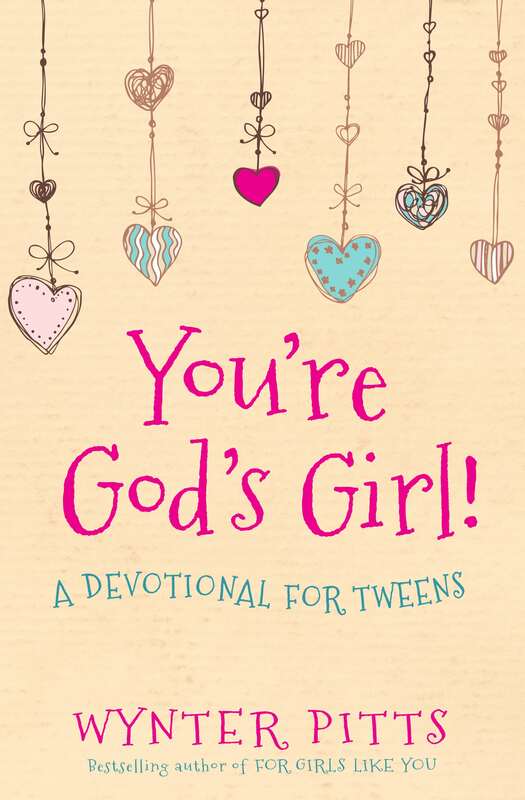 A Devotional For Tweens and She is Yours: Trusting God as You Raise the Girl He Gave You. Wynter started FOR GIRLS LIKE YOU magazine in 2012 because she had four girls (Alena, Kaitlyn, Camryn and Olivia) who she wanted to influence, specifically her oldest daughter, Alena, who was 7 at the time. She poured her heart and soul into creating this magazine for seven years. She interviewed, wrote, edited, designed and laid out the pages—she touched every part. This was a heart work for her, but it was a heart work that started with her FOUR girls that then spilled over into a bigger community: FOR Girls Like You. This community and her family suffered an unspeakable loss when Wynter unexpectedly went home to be with the Lord on the evening of Tuesday, July 24, 2018, in Dallas, Texas. In the days that followed, they took comfort in knowing that Wynter left them with a job to do. Her family and staff continue publishing this magazine in honor of her memory to help fulfill her mission and vision: to empower and equip girls to walk boldly into becoming who God has created them to be, and to provide parents with the resources and support needed to raise strong Christ followers. The ministry was humbly launched out of Wynter’s house on a borrowed laptop in 2012 as a quarterly print magazine. During the next several years, FOR GIRLS LIKE YOU amassed several thousand subscribers from every state in the union, as well as readers in Australia, South Africa, England, and various other countries around the world. As Wynter’s magazine grew, God opened other doors. In 2015, she published her first book, For Girls Like You: A Devotional for Tweens. Miraculously, she published seven more books in just three years: You’re God’s Girl: A Devotional for Tweens (2016); You’re God’s Girl Coloring Book (2017); She is Yours: Trusting God as You Raise the Girl He Gave You (2017) with husband Jonathan; God’s Girl Says Yes: What God Can Do When We Follow Him (2018); fictional series Lena in the Spotlight as a co-writer with her daughter Alena, including Hello Stars (2017); Day Dreams and Movie Screens (2017); and Shining Night (2018). At the time of her death, Wynter was working on two new books scheduled for publication: Emptied: Experiencing the Fullness of a Poured-Out Marriage and I Am Yours: A Prayer Book for Girls. Wynter was raised by her mother and grandmother in the inner city of Baltimore, Maryland. As a child, she experienced the effects that poverty and fatherlessness can have on an individual, specifically a little girl. Wynter gave her life to Christ at age 5, and was baptized at Christian Life Church in Baltimore. Sacrificing greatly, her mother and grandmother sent her to an elite, private all-girls school for the majority of her schooling through high-school graduation. It was in high school and college that Wynter discovered her love for travel. She studied abroad in France during her high-school years and in England during her college years. She studied Corporate Communications at Drexel University in Philadelphia, Pennsylvania, and while in college, she met her soulmate, Jonathan Pitts. They dated for a short eight months, were engaged for a year and made a commitment to God and each other to be husband and wife on June 27, 2003. They found their greatest commonality in a shared hope and faith in Jesus Christ, and this was the foundation of everything they would do in life from that point on. Wynter always knew that she wanted to write for a living. While her first professional job was as a grant writer for Philabundance, a local non-profit in Philadelphia, she also knew she was much more of an entrepreneur than a “nine to fiver.” She worked on various grants and did consulting work (including work for St. Jude’s Children’s Hospital). As God would have it, just nine-and-a-half months after marriage, Wynter gave birth to their first daughter, Alena, on April 8, 2004. Over the next five years, the Pitts were blessed with three more daughters: Kaitlyn (December 23, 2006) and twins Camryn and Olivia (May 2, 2009). Even though Wynter and Jonathan’s world went from two to six in record time, it was a wonderful world surrounded by beautiful, talented, smart girls—each unique in her own way. When Wynter and Jonathan moved to Dallas in 2004, the Pitts family attended Oak Cliff Bible Fellowship, where Wynter served in the women’s ministry, and then began attending Oaks Church in 2012, where she served in the children’s ministry. For a time, Wynter struggled with leaving the professional world to be a full-time mommy, but she surrendered to what she readily called God’s plan shortly before the birth of her second daughter. She embraced her new journey with vigor. Out of her unconditional love for her own girls, God birthed Wynter’s professional calling and life’s work through her ministry, FOR GIRLS LIKE YOU. Follow @forgirlslikeyou on Twitter and on Facebook for encouragement and inspiration as we continue Wynter’s vision to raise a generation of God’s girls. If you are a part of, or know of, a ministry for girls/moms that would be interested in hearing more about Wynter’s story, or learning more about For Girls Like You, please contact us!